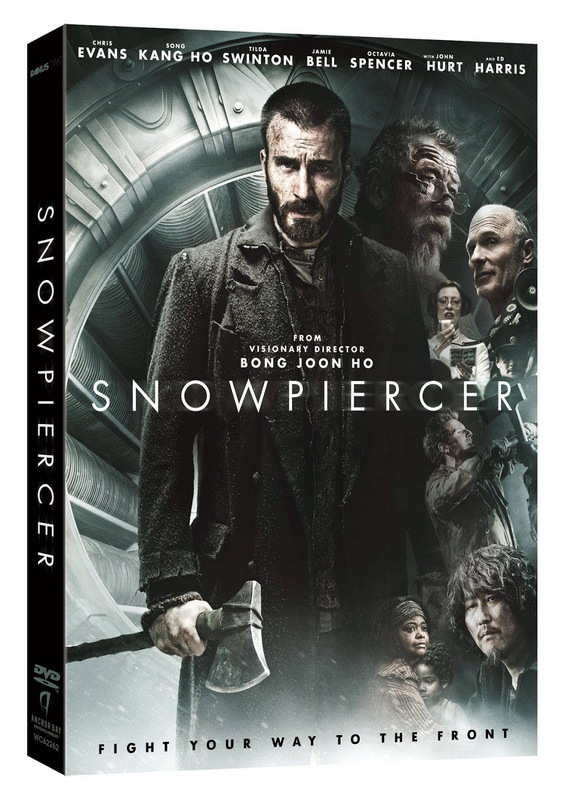 Anchor Bay Entertainment and RADiUS are proud to announce the home entertainment release of the post-apocalyptic thriller, SNOWPIERCER. Chris Evans leads the all-star cast of Song Kang Ho, Tilda Swinton, Jamie Bell, Octavia Spencer, Ewen Bremner, John Hurt, and Ed Harris. Visionary director Bong Joon Ho’s “enormously ambitious and visually stunning,” (Scott Foundas, Variety) film has been widely praised as “a superb masterpiece of science fiction” (MTV). RADiUS released the film theatrically on June 27, 2014. A box office success, the film has amassed $4.4 million to date, making it one of the top ten highest grossing independent films of the year. The sci-fi epic will be available on Blu-ray™ and DVD October 21, 2014. SNOWPIERCER has a running time of 126 minutes and is rated R for violence, language and drug content. Blu-Ray™ and DVD special features include a Critics’ Commentary hosted by Scott Weinberg and a second disc jam-packed with special features comprised of The Birth of Snowpiercer, The Characters, Animated Prologue, Concept Art Galleries, Chris Evans & Tilda Swinton on Snowpiercer, The Train Brought to Life: Behind the Scenes of a Special Screening, and TRANSPERCENEIGE: From the Blank Page to the Black Screen.